ABOUT ME I've been an avid Agatha Christie fan since junior high. 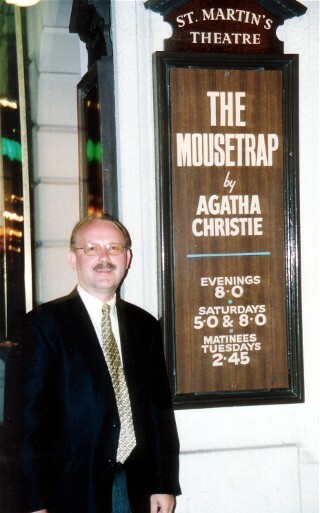 I fulfilled a lifelong dream in the summer of 2003 when I visited London for a week, enjoying a performance of the Mousetrap and visiting Christie's grave in Cholsey. I hope to return to England soon to visit Torquay and the Devon countryside. 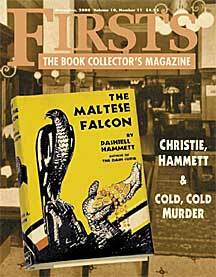 My research in collecting Agatha Christie resulted in writing an article which was published in the November, 2000 issue of Firsts Magazine entitled "Agatha Christie's American Half."